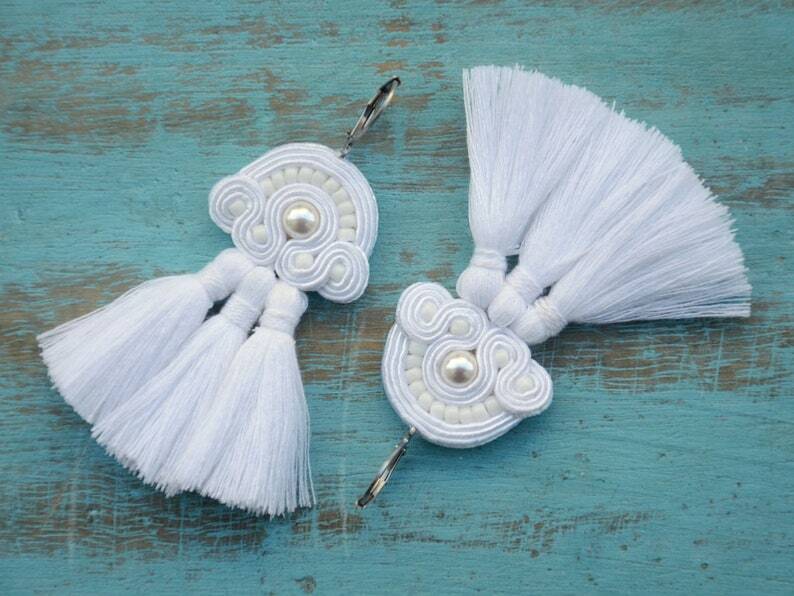 White handmade earrings with tassels. I created these earrings using Swarovski pearls and the soutache braid from Czech Republic. Unique and eye-catching, these earrings are a perfect add-on to a boho-inspired or romantic wedding dress.